ornate roof finials | Phil – Refuelled! Last week, when out shopping, I happened to notice this detail of the facade of nearby building. 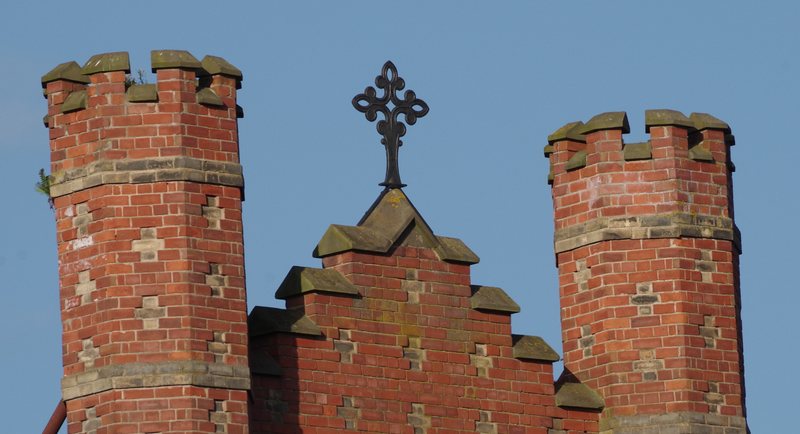 It wasn’t until after I took this photo, however, that I realised that the cruciform finial in the middle is evidently made of cast iron! I’m not sure of the exact age of this building, but it is definitely over 100 years old. This king of thing makes me think about all the labourers and craftsmen who must have worked on it – all long since dead. Accidents in the building trade were common; we tend to get frustrated by the amount of health and safety legislation, but we should be grateful for it!